Ghostly Images Walking Tours - - Ghostly Images of Gettysburg Ghost Tours presents two separate walking tours... The Jennie Wade Tour and the Haunted Orphanage Tour. They take you inside a truly haunted house! 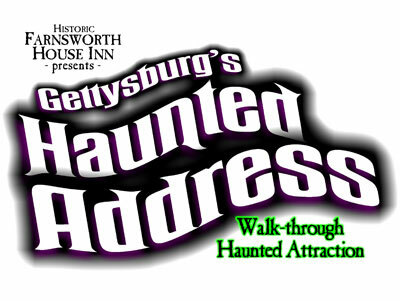 For reservations and information call (717) 334-6296 or (717) 334-1156 - Gettysburg Attractions Pa.
Gettysburg's Haunted Address - Walk through Haunted Attraction - Discover Gettysburg's History and Legends in this award winning Walk through Haunted Attraction - You heard ghost stories now SEE them for yourself... Located next to the Farnsworth House Historic Inn, you will see a Civil War era viewing parlor, a make shift hospital, an abusive orphanage, an exorcism, terror on the battlefield, a séance in the white house, a hanging at Sach's bridge and more. 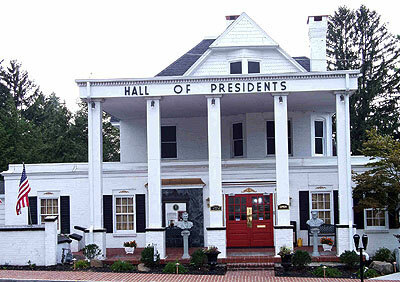 This house of horrors depicts several haunted Gettysburg events with detailed figures and special effects. Open all year round from 11:30am-11p.m. Located at 415 Baltimore St. Gettysburg Pa. 17325 call 717-334-8838 for our attraction information. 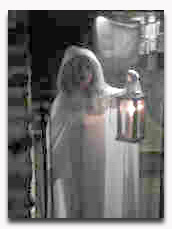 Sleepy Hollow of Gettysburg Candelight Ghost Tours - Cindy Codori is a direct decendant of the owners of the famous Codori Farm located in the middle of Pickett's charge, a must see of Gettysburg attractions. 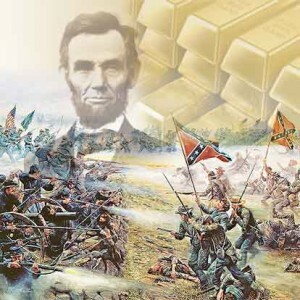 Lincoln's Lost Treasure .. A Unique Gettysburg Attraction is like stepping into your very own action movie, sending you on an thrilling and entertaining quest to uncover a lost secret sparked by President Lincoln's final breath. Aided by a few historical artifacts, participants set off to piece together a puzzle that could lead to fame and fortune. Encountering eccentric and engaging cast members, unraveling cryptic clues, and dodging agents out to foil their mission, groups of up to 10 people traverse the city's famous streets, hidden shops and historical landmarks discovering that Lincoln's Gettysburg Address is truly a national treasure. Lincoln's Lost Treasure is Part Theatre, Part Adventure, Part Mystery. The streets of Gettysburg serve as a backdrop for our unique story, told with elements of improv theatre and scavenger hunt. Put on your sleuthing gear, as Gettysburg becomes a roadmap to fun, laughter and suspense. Hired by a wealthy eccentric entrepreneur, you are thrust into a mission that puts you in the center of a quest to uncover the secret treasure Lincoln Left Behind. 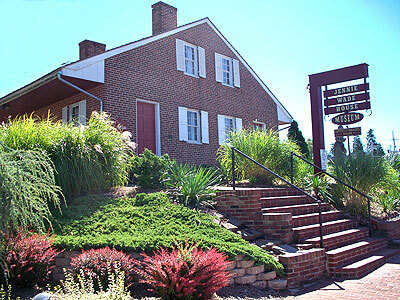 A must see of Gettysburg Pa Attractions. 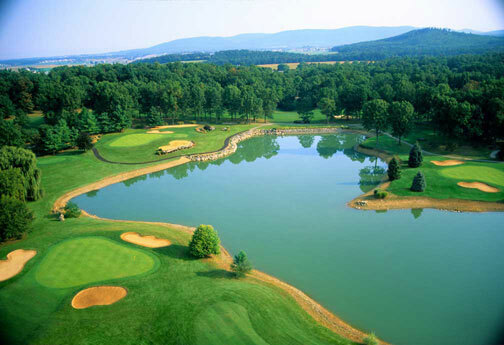 Two 4-star Golf Digest-rated golf courses located adjacent to the 85,000-acre Michaux State Forest. Stay in our historic inn with modern accommodations located along the 8th fairway of the Founders Course. Our modern clubhouse and restaurant are open to the public. Conference facilities are available. While youre here, enjoy the hiking, tennis, swimming and our seasonal Farmers Market. Explore the many opportunities to make Penn National youre hometour our homesites and finished homes and learn about our communitys many social groups and activities that make every day like the weekend! 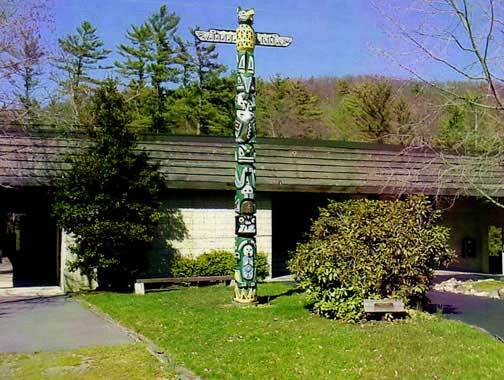 The Totem Pole has provided professional summer theatre to the Cumberland Valley since 1951. Located just 17 miles west of Gettysburg in beautiful Caledonia State Park in a 453 seat proscenium theatre. In its third location, the theatre achieved national prominence under the direction of the late William H. Putch.Working closely with his actress wife, Jean Stapleton, the theatre was called "the Cadillac of summer theatres" by those in the trade.In 1984, Carl Schurr became Producing Artistic Director took the audiences to higher levels of enjoyment offering musicals, dramas, comedies & thrillers each summer. Ray Ficca of Arlington, VA will lead the theatre forward beginning in 2009. For a complete listing of the current offerings, visit our web site www.totempoleplayhouse.org . Excellent Gettysburg Pa Attraction. The World´s most humongous Teddy Bear Store! A view updated every 15 minutes of McPhearson's Ridge where the first days battle began. GettysburgAddress.com prides itself on being the complete information guide of things to do in Gettysburg PA. Not only is Gettysburg home to numerous historical sites, museums and Civil War reenactments, it also offers an assortment of attractions and other fun activities that the whole family is sure to enjoy. 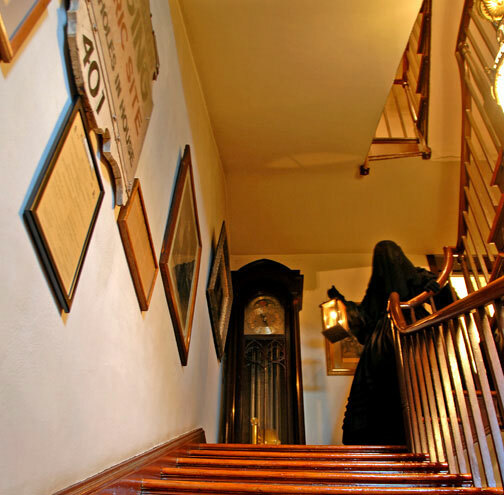 The legendary Farnsworth House of Ghost Walks & Mourning Theatre, as well as the popular Gettysburg Haunted Address and Sleepy Hollow Candlelight Ghost tours are sure to entertain and spook your entire travel group! Additionally, the Lincoln’s Lost Treasure will serve as an unforgettable adventure and brainteaser! 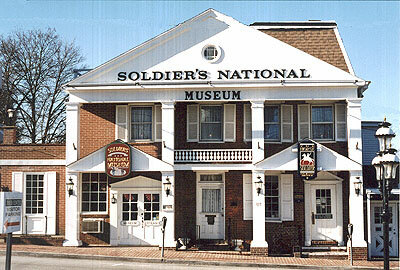 The historical attractions in Gettysburg, PA are places that every American should visit in their lifetime. Visiting the site of the Battle of Gettysburg will profoundly touch tourists as they walk on the hallowed ground of the battle that most consider the turning point of the war. The Soldier’s National Museum and the Hall of Presidents and First Ladies are two other attractions that travelers must make time to visit. These are just a few examples of the many things you can enjoy while in Gettysburg, PA. Use GettysburgAddress.com as your visitors guide for Gettysburg attractions, Civil War Relics and more. Contact us with any questions you may have. Enjoy your time in one of the most historical cities in North America! Convention and Visitors Bureau at 717-334-6274.